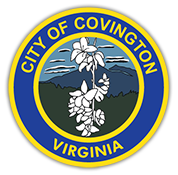 The recreation department will require all coaches to participate in our Recreation Leagues to complete background checks to be eligible to coach for Covington Parks & Recreation. This includes head coaches, assistants, and or helpers of the team. Please be sure to complete these in a timely matter. The form required is located on the internet for the convenience of the coaching staff. Each coaching personnel will be required to fill out the form and submit it online. If you are unable to get to a computer to fill out the form please let Thomas know as soon as possible. To gain access to the form follow the instructions below. Thank you for being an important part of our children’s lives. We appreciate all that you do for our youth programs. Thank you for all you do. If you have any questions concerns, please fill free to get in touch with me.